Mike McDonald is vice president, new business development, Prime Advantage Corp.: 888/832-5242; "http://www.primeadvantage.com">www.primeadvantage.com. Change is certainly a constant in business, which can make the process of managing a complex supply chain difficult for even the most successful companies. Identifying and managing suppliers that can ensure a superior level of quality, service and innovation is critical to gaining and maintaining a competitive advantage. • Can the supplier meet the turnaround deadline? • Does the supplier actually have the ability to meet current and future demand? • Does the supplier use conflict materials? • Can the supplier match our quality standards based on increased volume? Can you really afford to have your production planner or procurement director spending time shopping for and vetting new suppliers when your organization attempts to capitalize on new demand? The answer is, of course not. To help Collins overcome having limited resources on the purchasing side of the business, he turned to Prime Advantage—a private network of more than 750 member companies (average size $100M in sales). Members such as Collins and Ultrafryer draw upon the expertise of the network’s staff, its endorsed suppliers and their fellow member companies. Ultrafryer and other Prime Advantage members access the group’s endorsed suppliers through multiple channels, including a private intranet, although the company’s semiannual conference is the primary to reach out to multiple suppliers in a short period of time. These three-day conferences offer networking and strategic-sourcing opportunities for all participants. 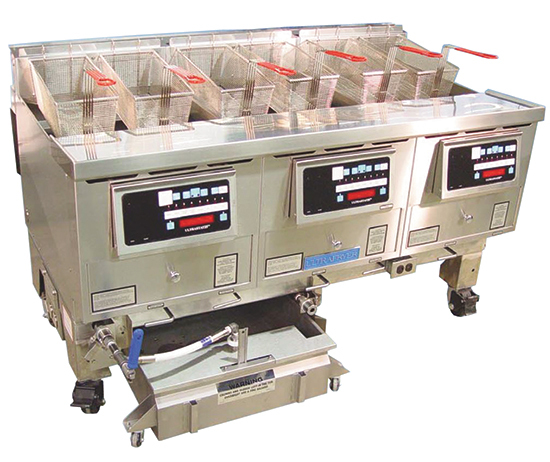 Collins and his Ultrafryer associates attend the conferences to hold one-on-one private meetings with potential suppliers, to discuss needs and strategies, as well as the suppliers’ ability to fulfill those needs. Meeting with this many suppliers, twice per year, enables members to enhance relationships with key suppliers at an executive level, as well as gain exposure to new supplier capabilities, new trends and even new supply-chain options. Most global manufacturers have formalized supplier-evaluation systems in place that enable them to actively manage their supply networks. For example, when a supplier is continuously late with shipments, a spend management professional must identify the infraction, quantify it, communicate it to the supplier and implement corrective action. Corrective action can take the form of a three-strike policy, monetary compensation, a combination of both, as well as other steps. Yet, few small- to midsized manufacturing companies have formal processes in place to track, evaluate and communicate supplier performance, let alone assess risk within their supply chain. These companies simply lack the resources to create and maintain a documented supplier-evaluation system. Without such a system, companies have a hard time defining if supplier performance is productive or if it should improve. And no company can afford to find out after the fact that a supplier is underperforming—not when businesses are in a growth cycle. 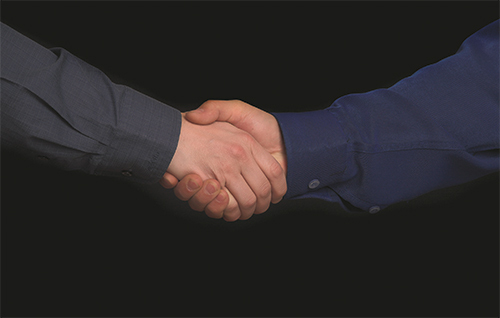 Suppliers that are true partners want to help customers succeed by improving their own performance. These suppliers value the consistent and measurable feedback that a formal evaluation system provides. The advantages to having a formal evaluation and audit process in place benefits your organization as well as your suppliers’ organizations. Empirical evidence illustrates that firms with supplier-evaluation systems realize improvements such as higher rates of on-time deliveries, fewer defects and quicker response time. That said, most small and midsized firms typically have only enough resources to manage the performance of their top few suppliers, at a basic level. The process requires support of multiple departments such as engineering and operations, as well as senior leadership. Each must work together to determine that all parts of a supplier relationship are being considered in the evaluation process. Ultrafryer and Romac—and other Prime Advantage members—are able to use two systems in place at Prime Advantage to ensure they work with best-in-class supply partners. Suppliers must complete an audit process to enter the network and attain endorsed status. Then, members provide ongoing feedback through a formal evaluation process. The supplier evaluation process begins with many of the steps followed by the world’s top manufacturers, in which subjective and objective aspects of a supplier relationship are analyzed and weighted. Factors include quality, delivery, total cost, supplier diversity, service, design control and R&D. Harry Marcionetti, senior vice president of operations for truck-body manufacturer Knapheide Mfg., Quincy, IL, also appreciates the added support Prime Advantage provides, via an account manager. This dedicated resource helps Knapheide (and other member companies) identify the best supplier options in the group based on needs and supplier capabilities. I do trust all the ideas you've offered to your post. They are really convincing and can definitely work. Still, the posts are very quick for beginners. May just you please lengthen them a little from subsequent time? Thanks for the post. Уou understand what Pastor Johansson advised us on Sunday is that God actually likes worship. Daddy added.